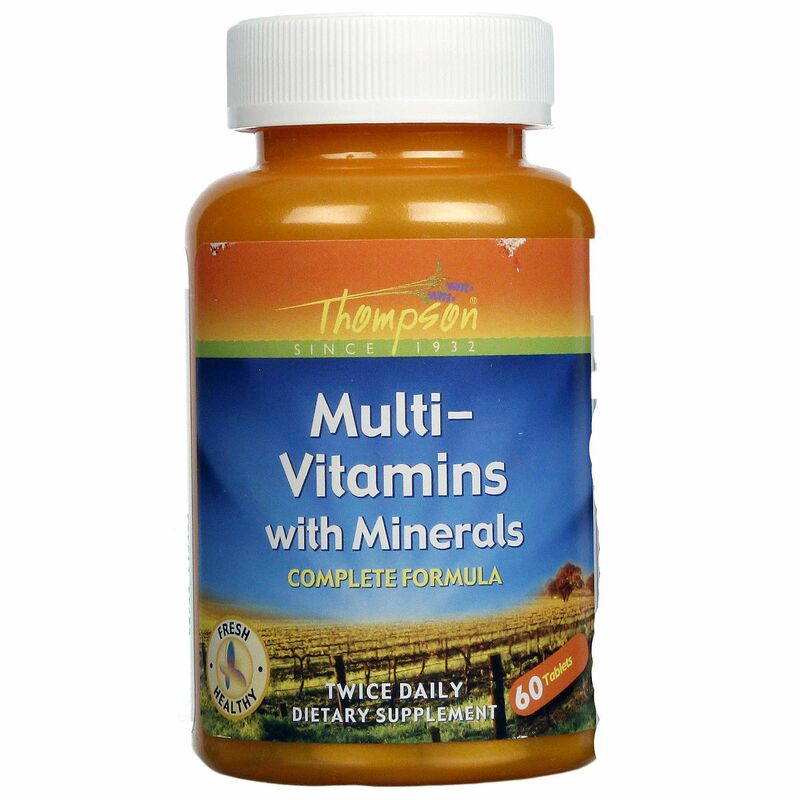 Multi-Vitamins with Minerals by Thompson come in a quantity size of either 60 or 120 tablets. Warnings: Do not use this product if the safety seal is broken or missing. Keep this product out of reach of children. 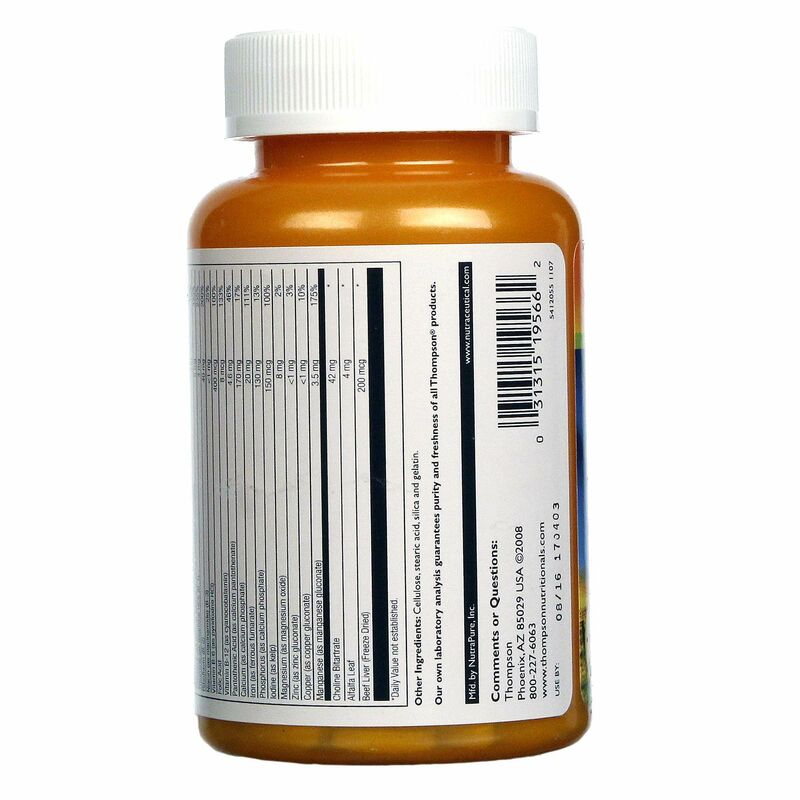 Keep your licensed health care practitioner informed while using this product. Read complete product label for complete ingredients, warnings, and instructions prior to use. Notes: Thompson's own laboratory analysis guarantees purity and freshness of all Thompson products. Use only as directed. Take two tablets daily preferably with food. Store in a cool, dry location. Recommended Use: Take two tablets daily, preferably with food. The customer reviews posted below are based on individual consumer experiences and may NOT necessarily represent what expected results will be from using or taking Thompson Multi-Vitamins with Minerals - 60 Tablets. These results may not be typical and you should not necessarily expect to receive the same results. Actual results may vary. 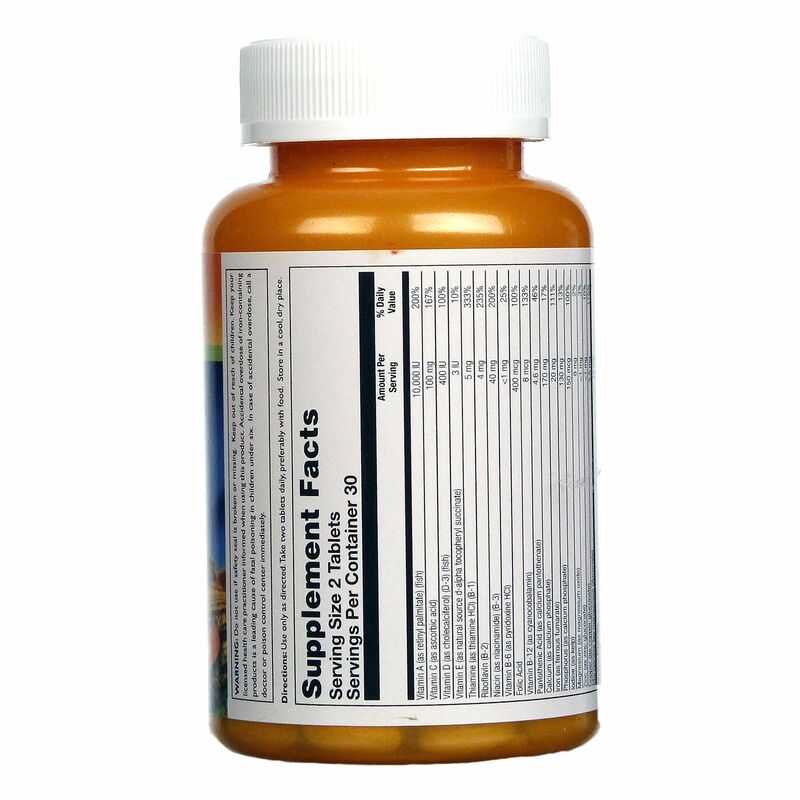 These are great with the natural forms of vitamins I need, not the lab created version. very good product. Great cost benefit and yields a lot. Great value for money, I recommend it. I received more than 1 month. I started taking it and had a great effect. It really works energetically. Even my vision has improved!